Back in 2013, when Leonard Lauder announced the gift of his world-class cubism collection to the Met, the New York Times was clear that this was about as clean and pure as such things ever get. For one thing, Lauder was quoted saying that “this wasn’t a bidding war. I went knocking, and the door opened easily.” And we were twice told that the gift came without “restrictions,” whatever that was supposed to mean. In practice, of course, there was a contract, laying out “commitments” on both sides. And now the NYT reports that as part of the quid pro quo, the Met promised “to create a suitable home for the Lauder material” by 2025. Lauder doesn’t seem to be holding the Met to its commitment: embroiled as it is in a fiscal crisis, there’s no way the museum can afford the $600 million that it had planned to spend on the new contemporary and modern wing which was going to house his collection. But seeing as how Lauder was knocking at an open door, why did they even make him that $600 million promise in the first place? The answer is lying in plain sight: just look at the headline on that original NYT story, talking about “A Billion-Dollar Gift”. Sure, the gift might have been purely paintings, with no cash involved at all, but these days all giving is increasingly fungible. It’s no coincidence that art museums are popping up around the world, and existing museums are expanding, at exactly the same time as the art in those museums is becoming much more financially valuable. Many of those museums are being built by the collectors themselves, to house their own collections. A broad range of collectors, from Eli Broad to François Pinault to Peter Brant to Giorgio Spanu and Cynthia Olnick, have decided in recent years that the best way to display their art in a museum is simply to build their own museum. 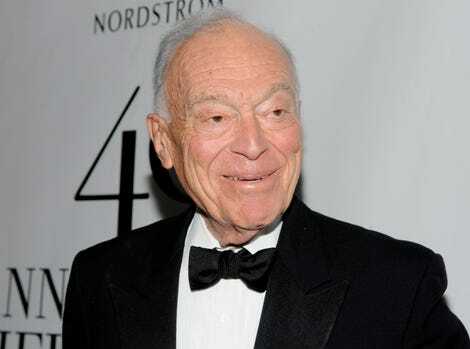 Indeed, Leonard Lauder’s brother Ronald did just that, with the Neue Galerie, a stone’s throw from the Met. The option of building one’s own museum is increasingly attractive, to collectors, for two big reasons. Firstly, you get to ensure your art gets seen, in the way you think it should be seen, rather than being hidden away in the stacks somewhere. And secondly, as collectors start paying nine-figure sums for individual paintings, the cost of building your own museum starts becoming largely indistinguishable from the cost of adding just a handful of works to your collection. If you’re going to spend billions on art, then spending a fraction of that on a museum which shows it off perfectly is entirely logical. It’s that logic which, in turn, forces established museums like the Met to promise glorious new galleries to any donor who comes calling with a world-class art collection. Who wants to give a billion dollars’ worth of art to a museum, only to see it shoehorned in among the existing displays? The problem for the Met, of course, is that the new building will be so associated with Lauder that it’s hard to persuade anybody else to pay for it. The new NYT article helpfully explains that Lauder “could have provided a lead financial gift for the Met addition,” but that “he did not want his name on the wing”. After all, convention has it, in museum circles, that if someone kicks off the fundraising for some grand new piece of architecture, that person gets to put their name on the architecture when it opens. So, for the time being, the Met is going keep on kicking the tires of various billionaires, in the hope that one of them, eventually, will pay for a shiny new modern-and-contemporary wing. Despite the fact that it has much more urgent cashflow problems than that. As Robin Pogrebin says, “it’s always been easier to raise money for bricks and mortar than for operating expenses.” I guess the operating expenses are just going to have to come from non-rich museumgoers paying admission fees.